Crazy for your favorite professional, college, and amateur teams? Check out these sweet items! Sure, you might like Hoosier sports, but are you a TRUE fan? 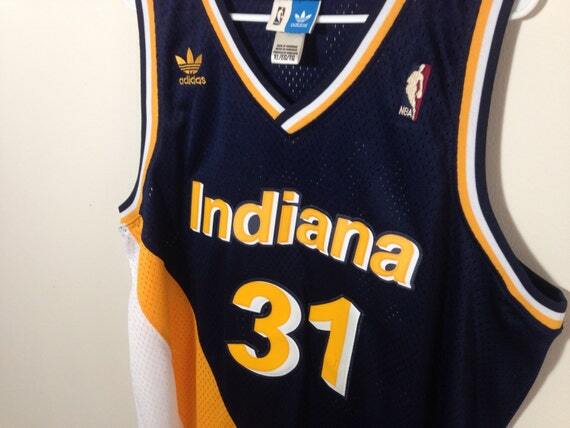 Etsy's the perfect spot for anything Pacers vintage. 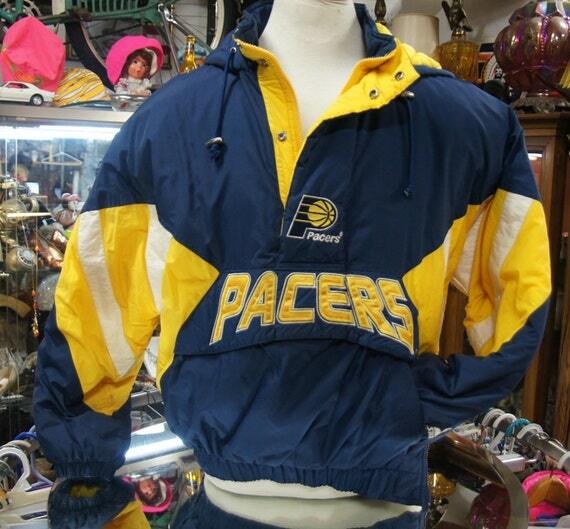 Authentic jerseys, windbreakers, awesome 80s snapbacks with their classic logo -- they have it all. 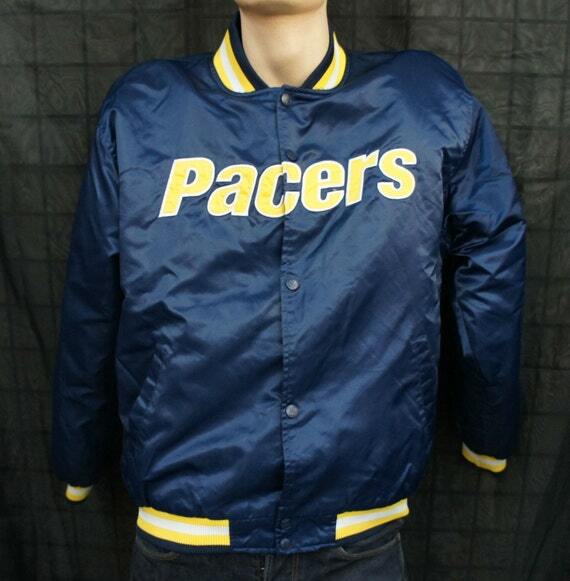 There's something about the vintage Pacers: Rik Smits and Reggie Miller come to mind while going through the listings of amazing gear that people are selling online. People for Urban Progress has been making an incredible difference in Indianapolis for a number of years, but this phenomenal not-for-profit has something special for die-hard Colts fans. These products are made out of pieces from the old Hoosier Dome -- now you can wear a little part of history on you all the time! Choose between their wallets, purses, clutches, shaving kits, travel bags and more here. Look familiar? Now you can sport your favorite team's logo on your spatula -- based in Indiana, Sportula products are complete with a hard maple handle and a convenient bottle opener at the other end. Laser-cut, stainless steel, it's a tailgater's essential grilling tool! Thanks to the people at 19Nine, you can get great looking Hoosier college gear; from IU, Butler, Evansville and beyond, these styles are clean cut and stylish and will look great on every fan. For Butler Basketball fans, Hinkle Fieldhouse auctions off vintage items a few times a month. Check by the website every once in a while to see posters, pennants, banners, and memorabilia you won't be able to get anywhere else. Watch out though, you're going to have to outbid someone to get it, and there are some people who will fight you tooth and nail to get that retro 1950s Hinkle Merch! How about those Indy Eleven fans? You can now support Indy Eleven with even more style! They're now selling customizable jerseys for both male and female fans on their online store -- prices start at $75, but you can add up to two numbers for an extra $6, and a custom name for $9 more! Check this out! Recently voted Best Local Amateur or Collegiate Sports Team in Indianapolis, the Naptown Roller Girls are some of the coolest gals to support: they're heading to Charleston, West Virginia as the #5 seed on October 3rd-5th for the annual Women’s Flat Track Derby Association Division I International Playoffs. So check out their merchandise and expect more stuff in the future: these girls are going places! Or are you more of a Hoosier Sports Superfan? Hayes and Taylor, Indianapolis apparel company, focuses on vintage designs and Indiana pride when creating their shirts. Check out their Indiana sports wares: they've got Pacer Nation gear, licensed Indiana University stuff, and soon-to-come Indianapolis Colts wear (as shown above). Wearing these shirts will make you cooler and feel more confident, but you don't have to take my word for it!